Wortwell is a good reminder to us that a village is not the same thing as a parish. It is a fairly sizeable place, straggling along the old Diss to Yarmouth road to the east of Harleston and Redenhall, with the older part of the village on the lower road below in the banks of the Waveney. And yet, it has no medieval parish church, and never has had one. In fact, Wortwell is in the parish of Redenhall, as is the town of Harleston. Harleston and Wortwell are both bigger than Redenhall, but the tower of Redenhall's massive church is like a sentinel bestriding the Waveney valley, and although there is a chapel of ease to it at Harleston, there is none at Wortwell. The A134 now bypasses the village to the north, and so it is a much more pleasant place than it has been for half a century or more. 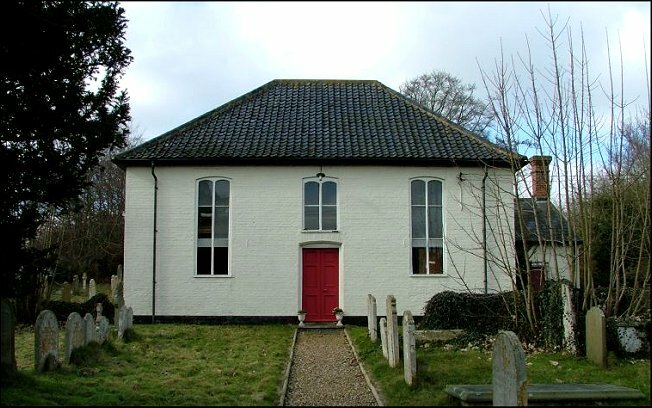 Not far from where the village street joins the new road is this lovely little congregational chapel, still in use for the same purpose as when it was built in the 1770s. It looks older. 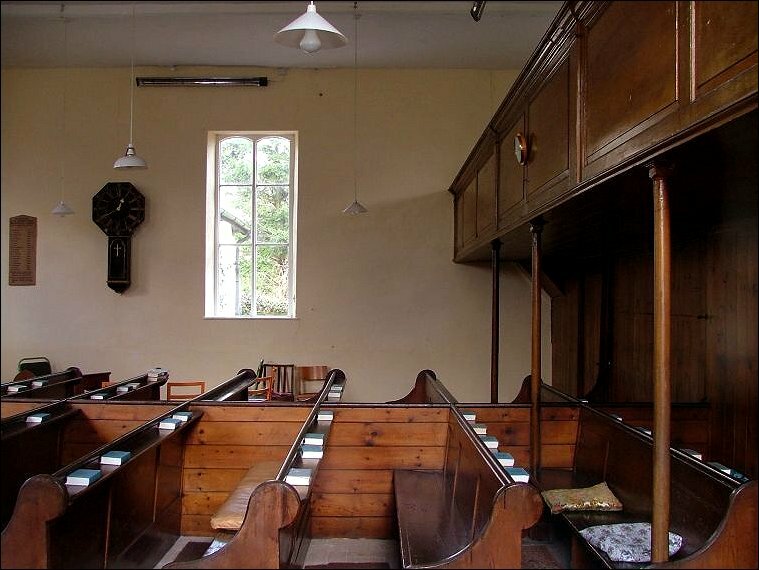 This is partly because of the natural conservativism of non-conformists in East Anglia, and also because these square chapels are dictated by the interiors, with their galleries and ranks of pews facing a platform. The central doorway may seem a move on from the double doorways we'd recognise from chapels of the late 17th and early 18th century. In fact, if you look closely at the photograph at the top, you can see that there were once doors beneath the two side windows. These have been filled in, the windows extended downwards, and a modern door and window placed in the middle, probably in the late 19th century. 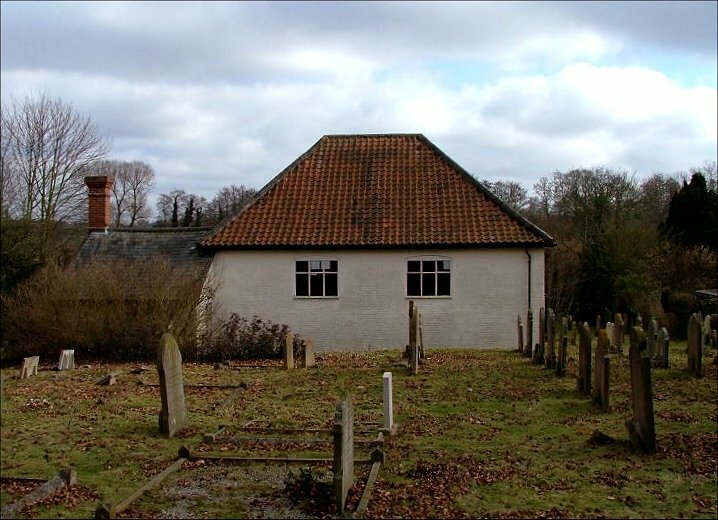 Non-conformism was strong in the south of Norfolk, and it is quite likely that throughout the 19th century this chapel had a larger congregation than any of the Anglican parish churches round about. 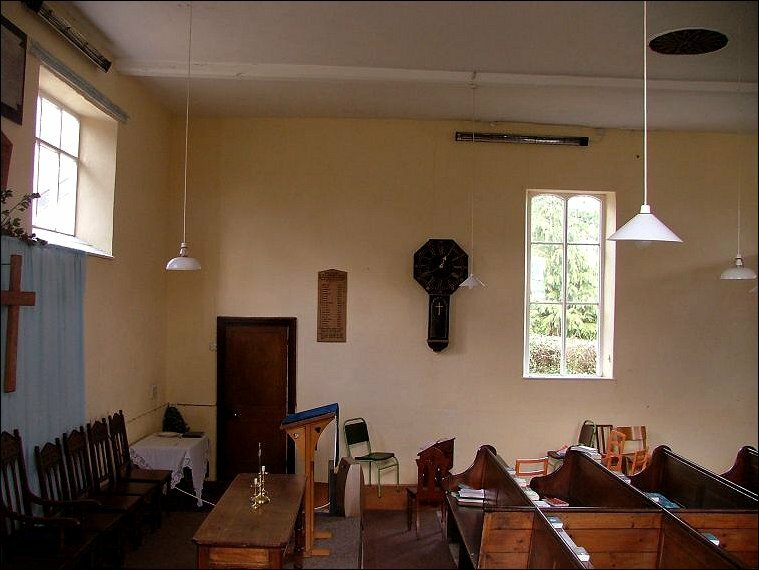 There was also a Baptist chapel down in the lower village. As in life, so in death, and Wortwell chapel has a huge graveyard, scattered up the hill towards the busy new road. If you climb to the top, you can look back, and you are as high as the ridge of the roof.